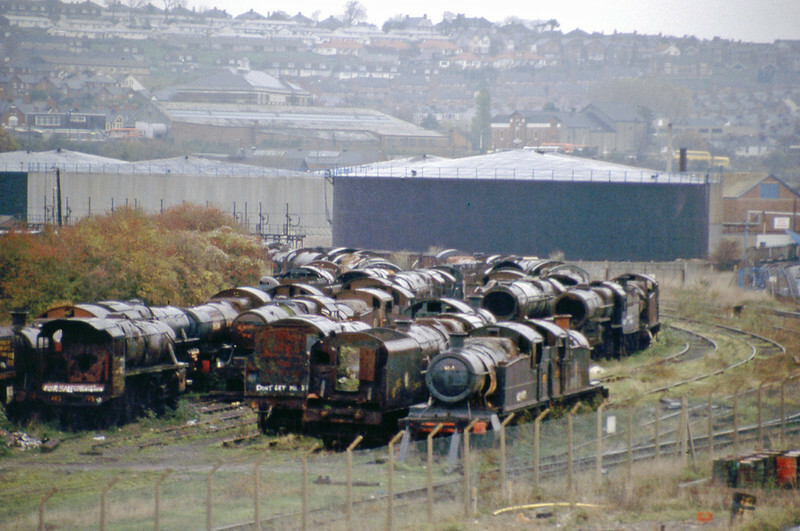 Thank goodness for Barry scrap yard, as most of the locomotives in this gallery owe their existence to Dai Woodham & teams of dedicated people who have turned them from rusting hulks, in to what you see now!. Not the best quality image but historic. Barry scrapyard taken on a very wet day 20 November 1984.